Feeling creative? 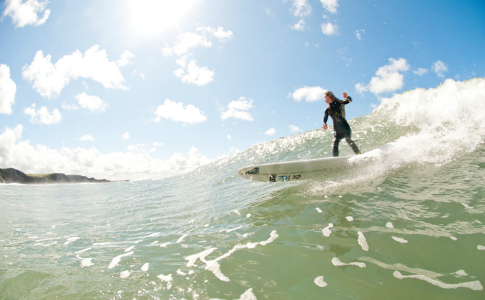 If surfing and films are your thing, then get a load of the London Surf / Film Festival. Films about female sport don’t come often, so you can imagine our excitement when we heard about Fast Girls, a pacey sports drama that tracks the rollercoaster journey of a British female sprint relay team. A European all female snowboard movie about the joy of snowboarding, outlining the challenges which come with being a professional athlete, will premiere in the UK on October 28th at the London Freeze Festival.